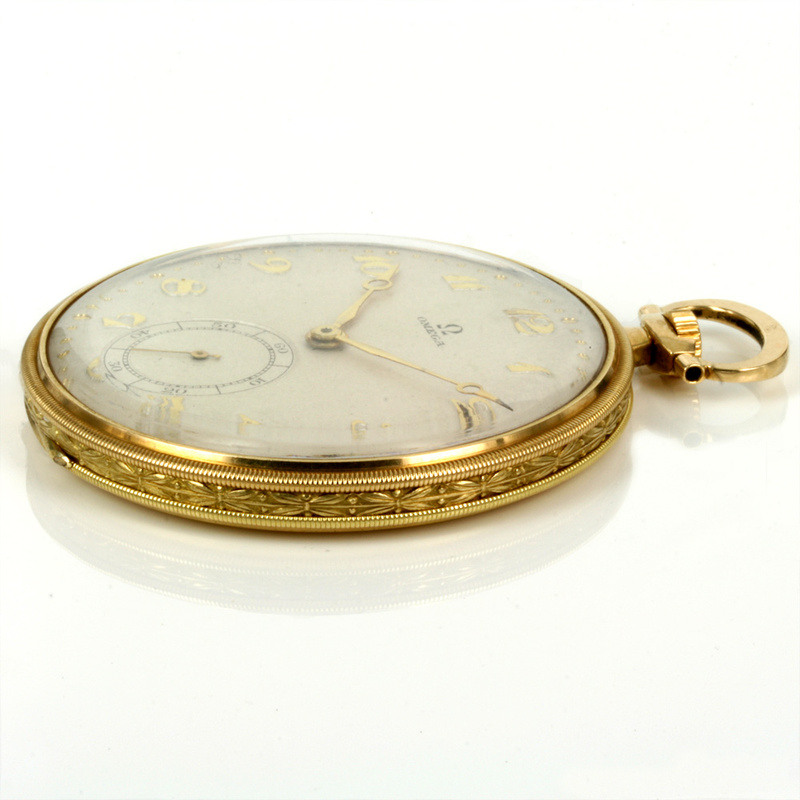 Product code: Q816 Categories: Sold Items, Sold Omega Watches, Sold Pocket watches. 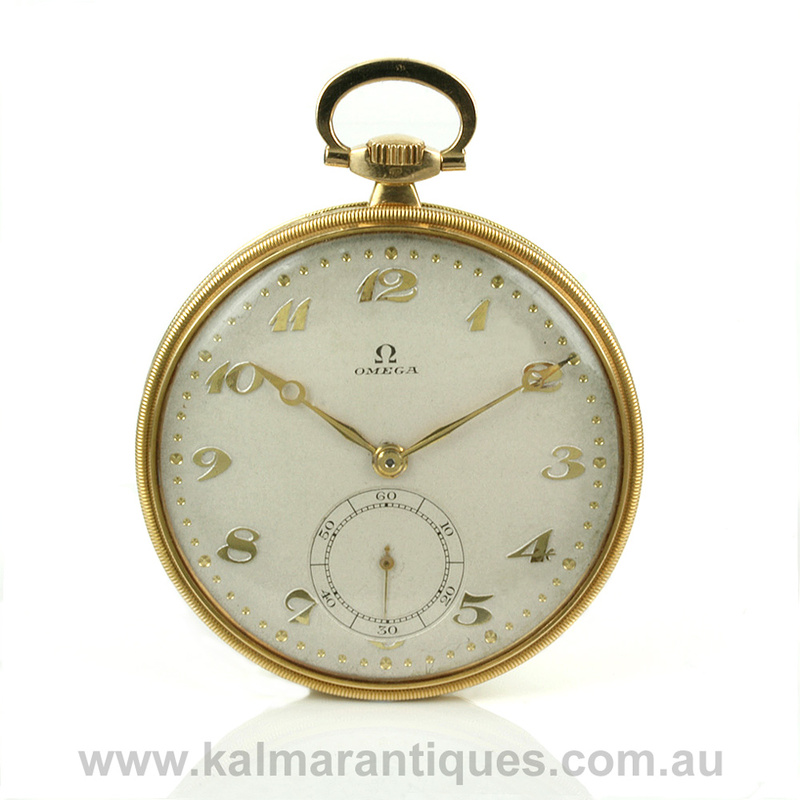 There is something about the feel and heft of a genuine antique pocket watch in your hand and here is a lovely antique Omega pocket watch made in 1915. 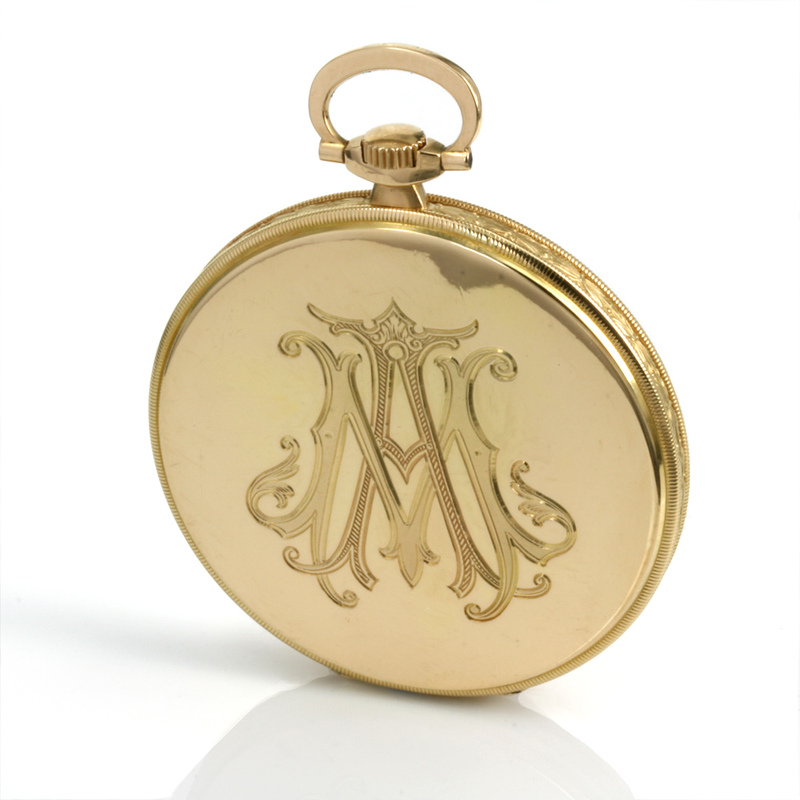 Made in 18ct yellow gold, even the edge of this pocket watch is so charming with the detail going all around the side. The case measures 48mm across by 61mm from the bottom to the very top of the bow when it is upright. With a lovely and easy to read dial with numerals, the font has all the characteristics and charm of coming into the early Art Deco era of the 1920’s. Then turning it over reveals the most exquisite hand engraving of the initials AM or MA which would have taken hours to do by hand rather than machine. Opening the back cover reveals a gorgeous fully jewelled manual wind Omega calibre 39.5L that has been completely service, runs perfectly and comes with our twelve month warranty. Antique pocket watches are always incredible to admire both inside and out, and when it comes from a prestigious watch company such as Omega, it is made all the more wonderful.